Boston-born Nat Hentoff has written on politics and music for more than half a century for The Washington Post, The Wall Street Journal, the Village Voice and many others. He joins us to reminisce about Charlie Mingus, Billie Holiday and other, plus his own coming to grips with being a non-playing musician covering music. The jazz photographer Herman Leonard shares his stories about capturing the greats on film: Billie Holiday, Louis Armstrong and Miles Davis, and the chronically the jazz scene in New York with his smoke filled images. To kick off the summer season, American Routes is riding the airwaves to exotic destinations, swinging and surfing to all manner of beachside rhythms from the Beach Boys, Toots and the Maytals, Wilco, and the Kinks. We also stay home to bask in the sultry heat of "Summertime," composed by George Gershwin and novelist Dubose Heyward in 1934 for the opera Porgy and Bess. It's one of the most covered tunes in the American songbook with over thirty thousand renditions. We'll hear takes from Janis Joplin, Billie Holiday, Duke Ellington, Sam Cooke, and the Zombies. Music as literature... a concept explored by songwriter, singer and guitarist Laura Cantrell who joins us to talk about her picaresque journey from Nashville to New York. The late writer and cultural critic Nat Hentoff recalls his famous associations from Charles Mingus to Billie Holiday and why Charlie Parker loved country music. Plus Delhi, LA soul man Toussaint McCall talks about the writing of his magnum opus "Nothing Takes the Place of You." Country, jazz, blues, R&B and more come together for this hardcover edition of American Routes. At the peak of the summer season, American Routes is riding the airwaves to exotic destinations, swinging and surfing to all manner of beachside rhythms from the Beach Boys, Toots and the Maytals, Wilco, and the Kinks. We also stay home to bask in the sultry heat of "Summertime," composed by George Gershwin and novelist Dubose Heyward in 1934 for the opera Porgy and Bess. 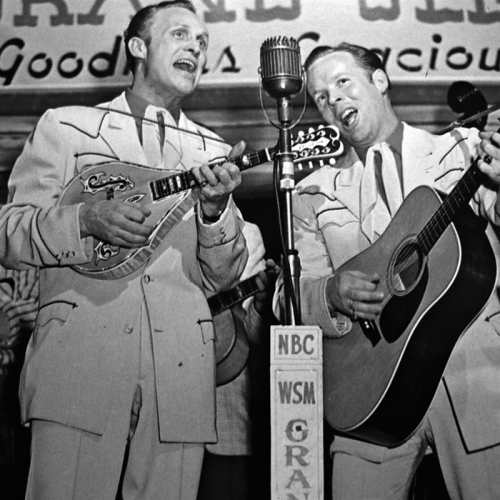 It's one of the most covered tunes in the American songbook with over thirty thousand renditions. We'll hear takes from Janis Joplin, Billie Holiday, Duke Ellington, Sam Cooke, and the Zombies. We follow Billie Holiday from her beginnings through a complex life of troubles and musical triumphs, her compelling "autumn" voice and untimely passing at age 44. Biographers John Szwed and Robert O'Meally discuss Lady Day's style and significance, while Cassandra Wilson describes and sings her approach to the Billie Holiday oeuvre. Singer Catherine Russell describes reaching back to recreate classic blues and jazz. From our archives we hear Nina Simone and Bonnie Raitt praising their blues heroines in story and song. We Billie Holiday from her beginnings through a complex life of troubles and musical triumphs, her compelling "autumn" voice and untimely passing at age 44. Biographers John Szwed and Robert O'Meally discuss Lady Day's style and significance, while Cassandra Wilson describes and sings her approach to the Billie Holiday oeuvre. Singer Catherine Russell describes reaching back to recreate classic blues and jazz. From our archives we hear Nina Simone and Bonnie Raitt praising their blues heroines in story and song. For Billie Holiday's centennial celebration, we follow her from her beginnings through a complex life of troubles and musical triumphs, her compelling "autumn" voice and untimely passing at age 44. 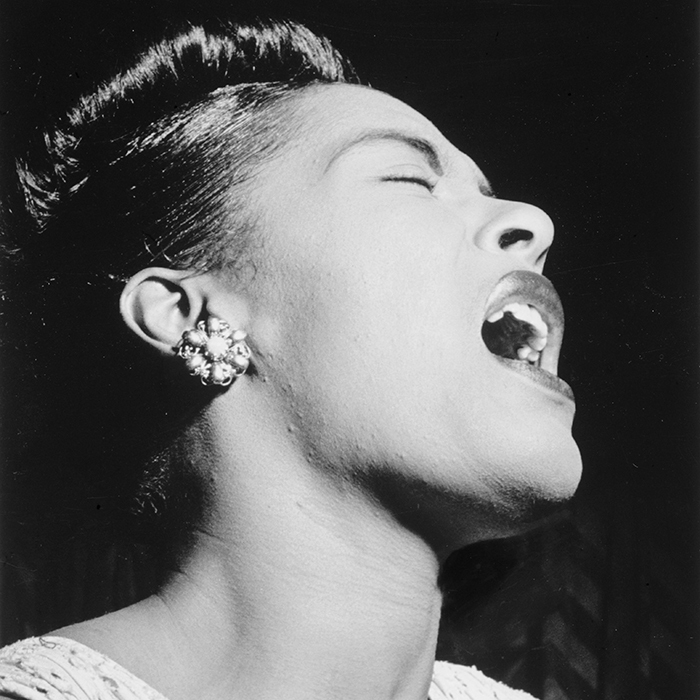 Biographers John Szwed and Robert O'Meally discuss Lady Day's style and significance, while Cassandra Wilson describes and sings her approach to the Billie Holiday oeuvre. Singer Catherine Russell describes reaching back to recreate classic blues and jazz. From our archives we hear Nina Simone and Bonnie Raitt praising their blues heroines in story and song. American Routes offers a sequel to our popular "Words and Music" show, paying special attention to great lyricists and story songs, as well as figures who've blurred the lines between literature and music. One of those is Steve Earle. When he wasn't busy stirring up the alt-country world with newsworthy albums like Jerusalem, Earle spent time in Ireland writing short stories and haikus. We'll also speak with African-American songwriter, poet and radio host Oscar Brown Jr., and hear the potent and playful words of Mose Allison, Johnny Cash, Billie Holiday, and the story behind that most-American phrase "Doo Wah Diddy." How do we "see" sound? Local artist Bruce Brice depicts the big sounds and scenes of New Orleans in murals; and photographer Herman Leonard tells us about a half century chronicling the greatest jazz players. Plus Lafcadio Hearn's meditations on the blueing water enroute to the French West Indies. Hear music from Bo Diddley, Van Morrison, Billie Holiday, Mose Allison and more. Music as literature... a concept explored by songwriter, singer and guitarist Laura Cantrell who joins us to talk about her picaresque journey from Nashville to New York. And writer, cultural critic and Boston native Nat Hentoff recalls his famous associations from Charles Mingus to Billie Holiday and why Charlie Parker loved country music. Plus Delhi, LA soul man Toussaint McCall talks about the writing of his magnum opus "Nothing Takes the Place of You." Country, jazz, blues, R&B and more come together for this hardcover edition of American Routes. Music as literature--a concept explored by songwriter, singer and guitarist Laura Cantrell, who joins us to talk about her picaresque journey from Nashville to New York. And writer, cultural critic and Boston native Nat Hentoff recalls his famous associations from Charles Mingus to Billie Holiday and why Charlie Parker loved country music. Plus Delhi, LA soul man Toussaint McCall talks about the writing of his magnum opus "Nothing Takes the Place of You." Country, jazz, blues, R&B and more come together for this hardcover edition of American Routes. How do we "see" sound? Local artist Bruce Brice depicts the big sounds and scenes of New Orleans in murals; and photographer Herman Leonard tells us bout a half century chronicling the greatest jazz players. Plus Lafcadio Hearn's meditations on the blueing water enroute to the French West Indies. Hear music from Bo Diddley, Van Morrison, Billie Holiday, Mose Allison and more. American Routes offers a sequel to our popular "Words and Music" show, paying special attention to great lyricists and story songs, as well as figures who've blurred the lines between literature and music. One of those is Steve Earle. When he isn't busy stirring up the alt-country world with newsworthy albums like his latest "Jerusalem," Earle spends time in Ireland writing short stories and haikus. We'll also speak with African-American songwriter, poet, and radio host Oscar Brown Jr., and hear the potent and playful words of Mose Allison, Johnny Cash, Billie Holiday, and the story behind that most American phrase: "Doo Wah Diddy." August 4 marks the 101st birthday of New Orleans' trumpet player and singer--and America's most important jazz musician--Louis Armstrong. In celebration of Satchmo's birthday, we speak with members of his All-Stars band, Joe Muranyi (clarinet) and Arvell Shaw (bass). On the ground in New Orleans, young trumpeters Nicholas Payton and Kermit Ruffins offer their perspectives on "Pops'" influence today. Also, a look at how the Marsalis family honored Armstrong's centennial, and music from collaborators King Oliver, Jimmie Rodgers, Bing Crosby and Billie Holiday. Get your kicks on an aural trip across a legendary American path: Route 66, including a Navajo perspective on the "Mother Road." Also music by Buck Ramsey, Billie Holiday, Billy Bragg and Wilco, The Texas Tornados, and of course Bobby Troup who gave this road it's theme song.